Wearing a tank top and flexing your toned arms terrific, no? But it’s not something you just get overnight, it requires for you to exercise the muscles of your arms to build them and get rid of the fat hiding them. Here’s 5 amazing ways to get those terrific toned arms. Push ups are a very effective way to get your arms toned because as you press down hard with your arms, your are working your muscles and burning fat. To do the full push ups, place your hands, palms flat, on a raised bench or raised platform. Make sure it is low and shoulder-width apart and align your body to be in a straight line from head to toe. Look ahead of you as you lower yourself to the platform until it meets with your chest, pause for a second and rise back up with your arms. Make sure to contract your abdominal muscles throughout the exercise. This is for the sole purpose of creating that little bulk on your biceps when you curl your arms. What you do is, hold a dumbbell in both hands and, one for each with your palms facing in and your arms straight. Contract your abs as you curl your right arm and raise the dumbbell to your shoulder, bring your hand back down and repeat the same actions with your left arm. When bringing your arm up and then down, don’t swing it, do it slowly. Bent dumbbell rows help burn all the fat in your arms. To perform the bent dumbbell rows exercise, position your right knee and lower leg and your right hand on a bench. Leave your left foot flat on the floor and bend forward so your torso is horizontal to the ground. Hold the dumbbell with your palm facing the bench and your arm extended straight down. Lift the weight to the left side of your chest then lower it slowly to the starting position. Do the same thing with your other arm. Like all the other forms of arm exercises, tricep dips help your gain more muscle in your arms. If you want to do it, sit on the edge of a bench with your hands beside your hips, palms down with your elbows pointing behind you. Lift yourself a little off of the bench, bend your knees slightly and lower yourself to the ground slowly until your legs are parallel to the ground. Stay like that for a second or two then push yourself back up with your hands. 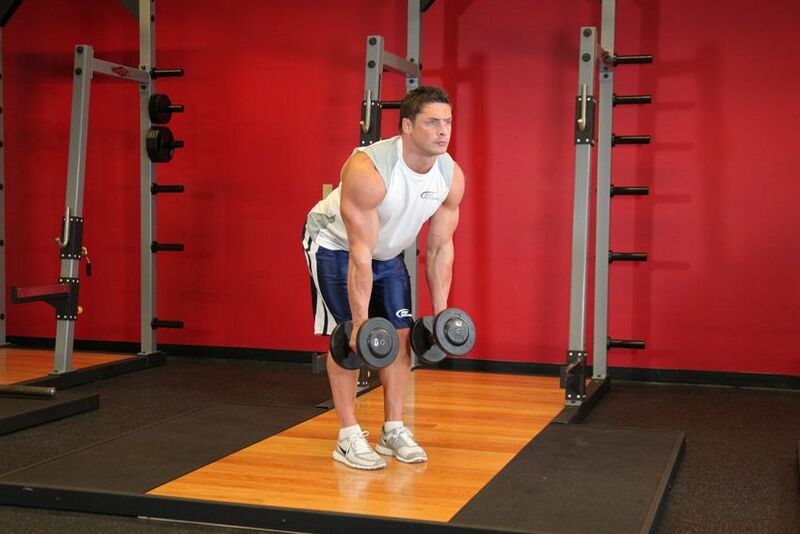 If you want to do the dumbbell shoulder press, hold a dumbbell in each hand while standing with your feet apart. 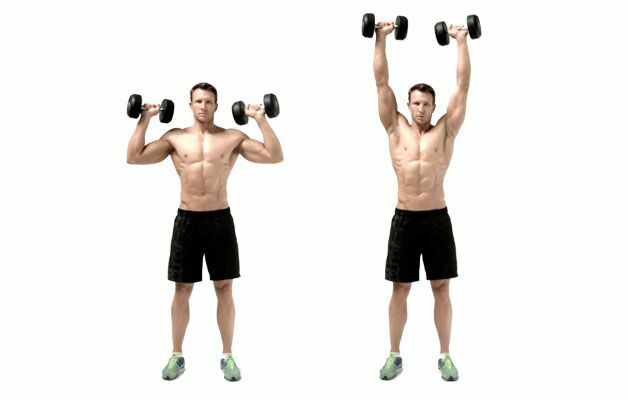 Lift the dumbbells just past your shoulders and contract your abs, then you continue lifting the dumbbells to touch each other over your head with your arms straight. Pause for a second and then lower the weight slowly to your starting position. If you do three sets of these exercises and repeat each of them twelve times a day, you will get sculpted fat-free arms in no time. Keep at it! Posted on 10th November 2015 by Ida S.. This entry was posted in Workouts and tagged gym. Bookmark the permalink.